One of the important and crucial parts for a healthy life for us is sleep. As a matter of fact, we spend nearlya third of our entire lives sleeping. With sleep being such important, the selection of the mattresses or bedding is very crucial. Dust mites, molds, bed bugs and many allergens could thrive inside your mattresses, which could negatively affect your health. People having asthma and breathing difficulties need great assistance for getting a good night sleep. So let us take a look at what hypoallergenic mattress protectors offer you and how. 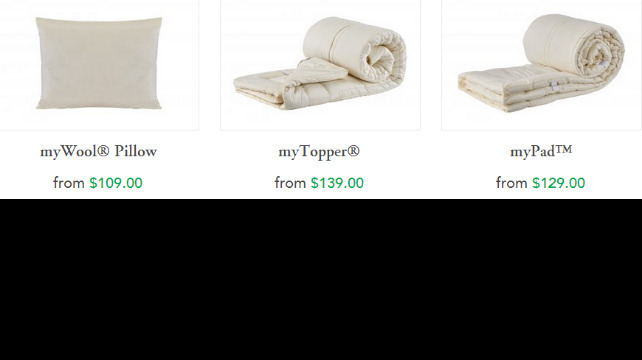 A hypoallergenic mattress protector makes use of fabrics that are tightly woven. These tightly woven fabrics help in the elimination of dust mites and bed bugs. The design of the fabric is such that the pore size is very small, making the fabric nearly impossible for the mites and bugs to penetrate it. Thus, these protectors keep the mites and bugs from disturbing you in sleep; providing an environment that helps you sleep well. Impermeable back coverings and other good membranes help in a great way in reducing the number of allergens. Moisture can also be prevented from entering the mattress. These days, many of the mattress coverings are available with zippers to keep the inside safe and ensure that the most vulnerable parts of the mattress protectors are allergy proof. 1. Mattress covers and encasements: Mattress covers and encasements are the protection used mainly for the treatment of bed bug infestations as well as in the reduction of allergens and other particulates. The use of these covers ensures that the mattress remains fresh for a long time. This essentially increases the usable lifespan of the mattress. 2. Hypoallergenic sheets: These sheets are used mainly in the fight against allergens. Bed sheets can hold on to a variety of allergens. These allergens then get on to the mattresses. Hypoallergenic sheets are chemically treated to avoid the buildup of the allergens. 1. Comfort level: hypoallergenic mattress protectors are made from a variety of materials offering varying levels of comfort. The protectors of various fabrics offer varying levels of protection as well. The most important part is the breathability of the mattress cover which helps in determining the comfortable level for each person. The higher the breathability, thebetter the protection. 2. Water resistance: Water resistance is a desired trait because the moisture seeped in together with natural oils will cause premature wear and tear. 3. Zippers: Zippers with enclosing are mostly preferred these days. These enclosed zippers act as an additional barrier, thereby protecting the mattress against infestation which may occurotherwise. 4. Materialused: Material used is also crucial because each material has its own unique effect on the user’s body. These materials usually have natural abilities in preventing the allergens or dust mites. For example, bamboo, wool or cotton.